September 14th 2018 marked the beginning of the landmark three-day event- the Leaders’ and Partners’ Conference with Pastor Chris, in the nation of Ghana. In his opening address, the esteemed Zonal Director of Accra-Ghana Zone, Pastor Biodun Lawal, expressed his conviction that the nation of Ghana would not be the same after this program. The opening ceremony, welcoming delegates from different parts of the nation, was representative of Ghana’s diversity and full of the inspiration that is consistent with the BLW Nation. Several ministrations in music and arts prepared the hearts of everyone present at the LoveWorld Arena for the entrance of God’s Word. With these words, he explained the connection between our knowledge of the Lord Jesus and our realization of “all things that pertain to life and godliness” that have been given to us. Pastor Chris went on to say, “you can never know you as God knows you, until you know Him,” showing through the scriptures that, since we were created by God, our true identity is hidden with Him. The revelation of Jesus Christ as Adonai (the Lord God) of the Old Testament brought delegates into new insight into the person and glory of Jesus as Pastor Chris taught during the first session of the Leaders’ and Partners’ Conference Ghana. “You can understand why His name has all-power,” the BLW President said, further helping the Pastors, partners and leaders to comprehend the glory of the Lord Jesus. Pastor Chris went on to say, “this Jesus that I introduce to you as the son of God, simply, is God in a human body!” No one present in that session will fellowship with the Lord Jesus through the Spirit in the same way again. Delegates at Leaders’ and Partners’ Conference Ghana learn how to live in perpetual health. The Leaders’ and Partners’ Conference Ghana with Pastor Chris has been a water shed experience for BLW citizens in the nation of Ghana, whose lives have been upgraded with divine truths to live by, under the teaching ministry of the man of God, Pastor Chris. “No matter what government is in office, you are not a victim,” BLW President says at LPC Ghana. The man of God, Pastor Chris, taught delegates at the Leaders’ and Partners’ Conference in Ghana to live above the economic and government systems of the world. “No matter what government is in office, you are not a victim,” he said to the congregation. 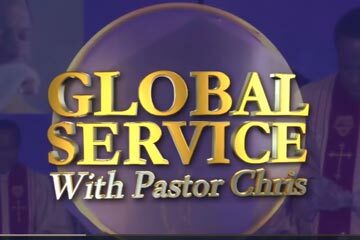 Pastor Chris explains how Christians get into problems with demons, how to prevent such problems. The man of God, giving consideration to Colossians 1:13, helped delegates present to reconcile the truth of the Word that every believer has been translated into the Kingdom of God’s love Son with the fact that some still experience demonic oppression. “These things show us our divinity,” the man of God, Pastor Chris, said to delegates at the Leaders’ & Partners’ Conference Ghana as he expounded on Mark 16:17-18. The BLW President admonished the congregation at the LoveWorld Arena, Accra, to be brought up in Christ by learning and putting the Word to work. He explained that many Christians suffer when they shouldn’t due to an ignorance of the realities of God’s Kingdom. “If you are brought up in the Word, every part of your body will respond to the Word,” Pastor said. 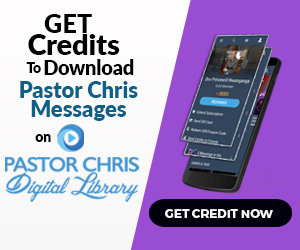 The featured video excerpt is a “shouting message” that will have you on your feet, declaring your divinity in Christ Jesus. Watch and remember to share with friends and loved ones. This declaration stemmed from our inherited nature from God, who is both a God of faith and of love. “We’re sons of love, children of love, because our Father is called LOVE,” Pastor Chris said to the congregation. Pastor Chris admonishes parents and child-care givers on how to handle and protect children. “It takes a special grace to handle children,” the BLW President said to thousands present at the LoveWorld Arena in Ghana last weekend. He warned parents and child-care givers to be cautious about who makes contact with a child.